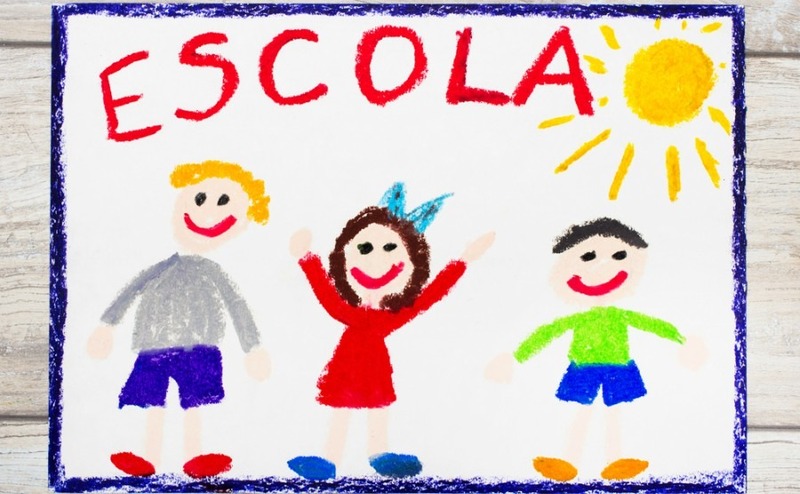 If you’re an expat in Portugal (or planning to become one) and you have children, you’ll need to know the options for schooling. Moving abroad with children can prove an incredible opportunity for them to learn, grow and experience a new culture. However, getting the schooling wrong can create a stressful experience and potentially even damage their prospects. School in Portugal: best years of their lives? Thankfully, Portugal offers plenty of choices for schooling, including a state-funded option that serves many people well. That said, a lot depends on the age of the children you’re moving with. In this article, we look at the three main options for schooling in Portugal and discuss their pros and cons. Anyone legally resident in Portugal can send their children to state-funded schools. As with schools in the UK, these can vary in quality, making local research important. There are also some cultural quirks to be aware of, such as the fact that it’s down to parents to buy the text books their children require. This manifests itself in huge queues in newsagent stores in the run-up to each school year! Remember, it’s the children themselves who have to deal with most of this. Anyone serious about moving to Portugal with their family will have a million questions. Property Guides will be at Your Overseas Home, a new style of overseas property show where you will have the time and space to speak to Portuguese lawyers, estate agents and currency experts. Click here to apply for FREE tickets for events this November and throughout 2018. Where it gets more complicated is if you move to Portugal with older children or teenagers. They typically find the change of educational priorities and the learning curve of the language difficult to deal with. It’s important to remember that it’s the children themselves who have to deal with most of this, and to keep it in mind when making plans to move to Portugal. One option is to hold them back a year. Although it means they may be learning things they have already been told, that will allow them to transfer the knowledge into Portuguese, and the chance to be ahead of their classmates, which will give their confidence a much-needed boost. If you’re willing to pay the fees, most large towns and cities have independent schools. Unlike many big-name private schools in the UK, these are often an affordable option for middle-income families, with fees sometimes in the hundreds rather than the thousands of euros per term. While learning at these schools is typically in Portuguese, smaller class sizes can mean there’s more capacity to assist foreign children as they negotiate the language. For people looking for an “in the middle” option, this kind of school is worth consideration. There is a wealth of independent international schools in Portugal, serving the children of expats and (in some cases) wealthy locals wishing to give their children a “northern European” education. Such schools include The Cascais International School near Lisbon, and the Nobel International School in Lagoa. These schools vary in size, but at the top end are a true “premium option,” with fees running to over €10,000 per year. Curriculums are often based on the UK or International Baccalaureate systems, with lessons in English. For an ease of transition, especially for teenagers, there’s much to recommend such schools. However, on the flip side, sending children here will make it harder for them to make local friends, due to the isolated private school community. Thankfully, there are all of these options out there. They all require careful consideration, but you should be able to find a way to settle your child at school in Portugal, subject to a bit of forward-thinking.